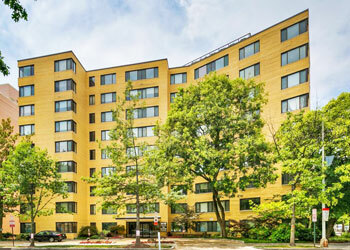 We are one of the best places to live in the city, in Chevy Chase D.C., conveniently surrounded by urban amenities, quality schools, recreation, and shopping, yet in a quiet and green neighborhood with a great quality of life. This 9-floor building has 166 units and doctors' offices on the ground floor, with garage and outside parking, 24-hour concierge, roof deck, exercise room, and a community room. 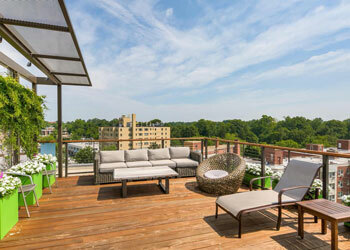 The Garfield is a smoke-free and pet-free community.